We know it seems a long way until summer, but you know better than most that now is the time for parents to be planning the perfect summer camp experiences for their children. 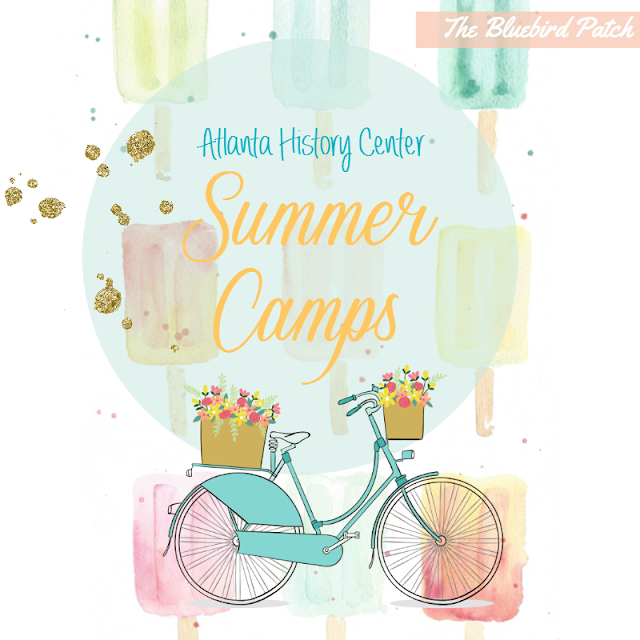 The Atlanta History Center, have been busily planning fun, engaging, smart Summer History Camps and Summer Writing Camps, both kicking off the week of June 5. History comes to life as Atlanta History Center summer campers ages 6–11 explore the past through games, historic simulations, performances, crafts, and hands-on activities throughout our exhibitions, historic houses, and gardens. The entire 33-acre campus is our playground! With fun new themes each week, campers enjoy a variety of immersive camp experiences all summer long. Space is limited, so register early! Margaret Mitchell House writing camps provide an opportunity for youth ages 9–14 to discover the power and excitement of writing while honing their skills in a fun, interactive environment. With 10–15 participants per camp, each young author receives individual attention while learning how to create meaningful prose through a variety of techniques like stream-of-consciousness writing, games, journaling, free verse poetry, and other forms. Camps sell out quickly, so register early. All of the summer camps are now online as well. For more information, fees or to register please visit: http://www.atlantahistorycenter.com/programs/category/kids-programs.